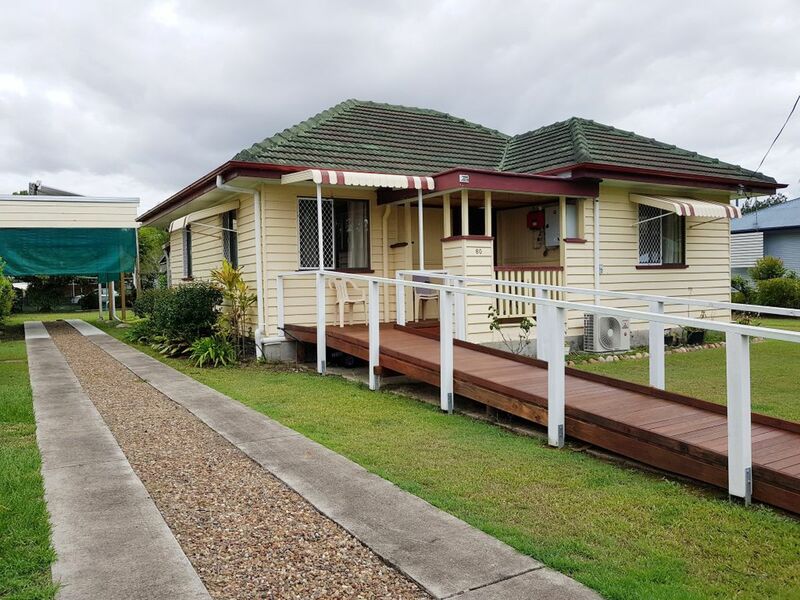 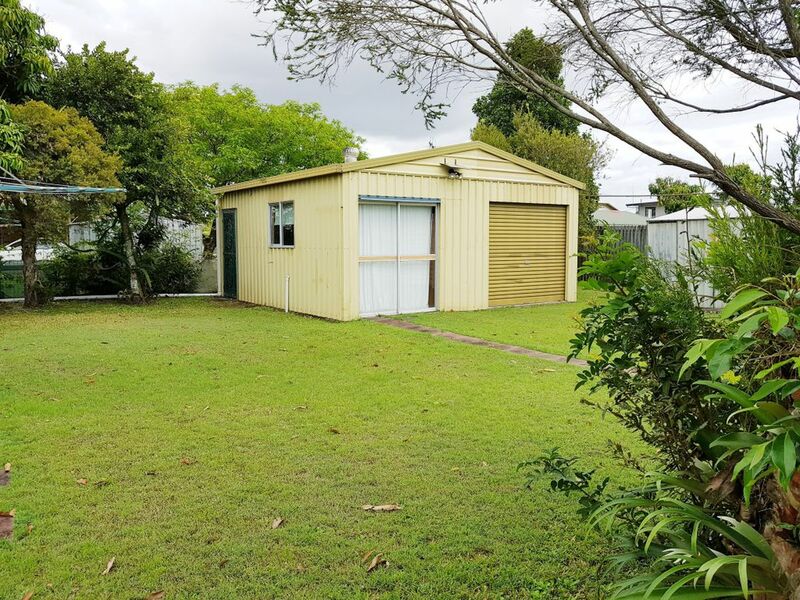 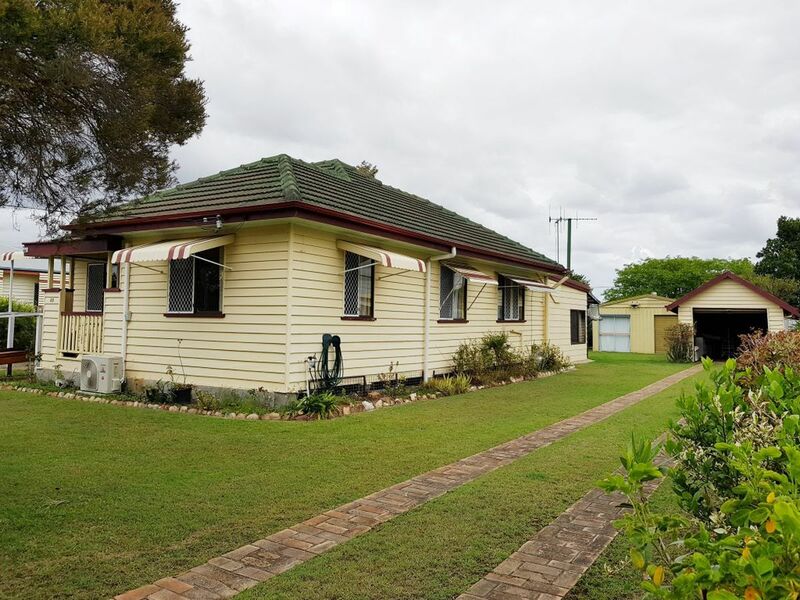 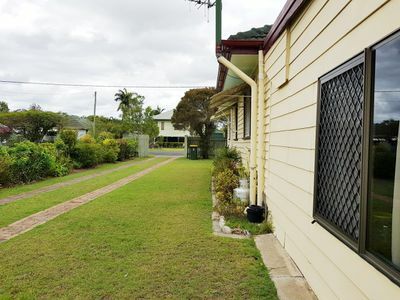 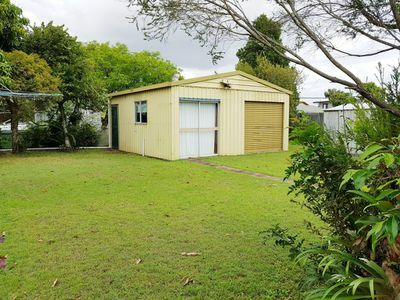 A solid neat and tidy 3 bedroom home with Solar Power, large RV Caravan or Boat Port, 2 driveways plus a double colorbond shed with power and an additional single lock up garage. 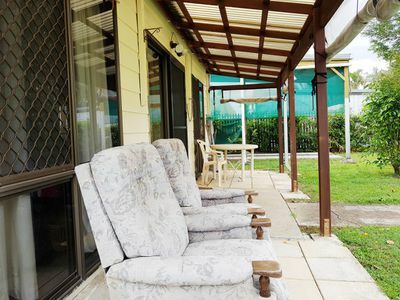 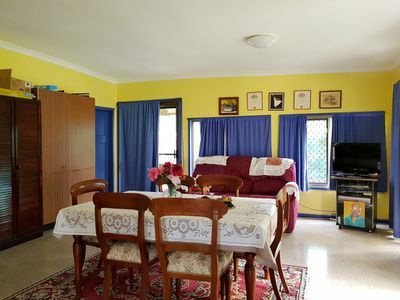 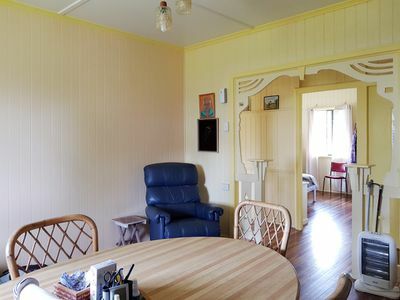 The home has security screens, wheelchair access and sits on a fully fenced 1007sqm allotment close to the golf course and at the right end of town to have easy access to the highway. Features include high ceilings, VJ timber walls with polished hardwood floors throughout plus security screens and ceiling fans. 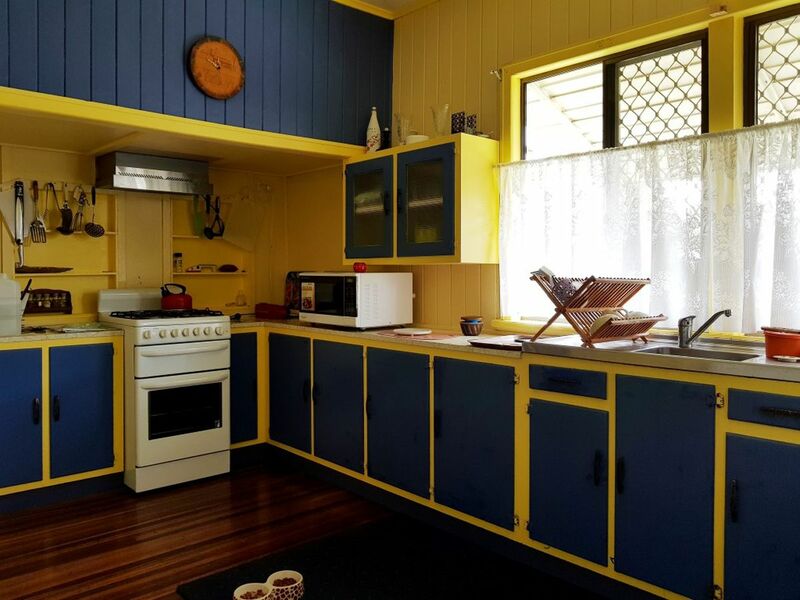 The dine in kitchen could be opened up with the lounge room to provide a modern open plan living design. 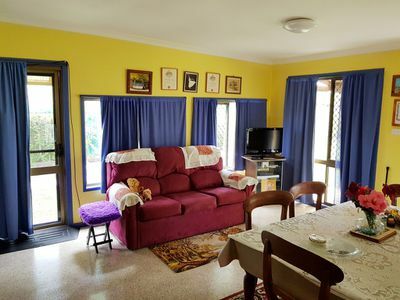 There is a large rumpus room on the lower level which is ideally suited for the family gatherings or just that extra TV room and living space. 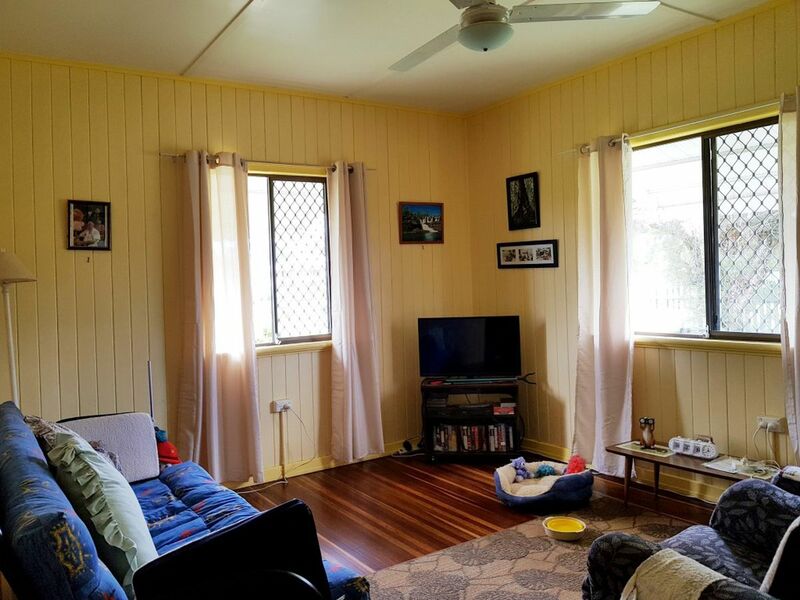 The 6m x 6m colorbond garage has air conditioning and could be suitable to use as a teenager’s retreat/craft room or "man cave". 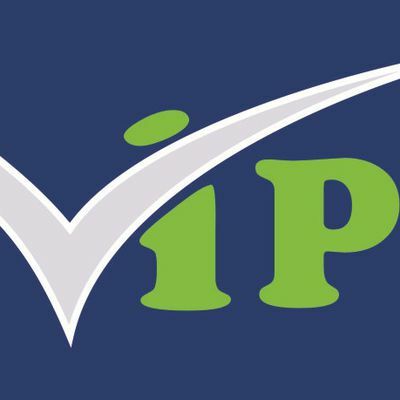 This is a property that has good bones and good infrastructure in place but the owner is no longer able to keep up the maintenance and is needing to downsize immediately. So take the opportunity today and secure your first home, your last home or make it your investment home.